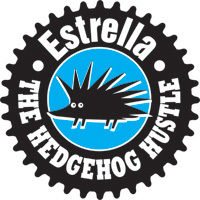 Athlete information, reminders etc for the event at Estrella can be found on the link HERE. There were some revisions on the start times and lap counts made on January 27, so be sure you review (and know) your laps/start times accordingly. The changes were made in an effort to ensure we all have a fun, safe event. The tech loop was in very poor condition, to the point that we made the determination to remove it from this years event. We hope trail work efforts in the next few months will return it back to a more tolerable condition for 2016. RAIN – STILL A GO – yes, rain is in the forecast and we are still forging ahead with the event. If the land manager believes the amount of rain will result in long term severe damage to the trail, we will not be able to host the event and do not have plans on rescheduling, or refunding. Most every event has similar policy. We cannot control weather, acts of god or terrorism. The volunteer board has dedicated a lot of time, effort and money (contractors, portos, timing, insurance, marketing, medical, awards etc) to each event. Our intent is to host the event and make sure we don’t cause more damage to the trails we are trying to protect, promote and preserve. We are hoping for hero dirt – knock on wood. See you soon! ps – recall Dawn til Dusk in Dec? That still went off. Recall Whiskey last year when it snowed?